Fasan and coworkers have developed a new class of inhibitors against a notoriously challenging protein target implicated in the Hedgehog signaling pathway, one of the major cell signaling pathways found in human cells. This work, entitled “Design and Evolution of a Macrocyclic Peptide Inhibitor of the Sonic Hedgehog/Patched Interaction”, was recently published in the Journal of the American Chemical Society and soon after highlighted as a JACS Spotlight paper and in Chemical & Engineering News, the official magazine of the American Chemical Society, as well as shared by the UR Newscenter. The Hedgehog signaling pathway is active during embryonic development but it becomes quiescent in most adult tissues. In several forms of human cancer, however, this pathway is abnormally re-activated and this process provides a mechanism for cancer cells to support their own growth and promote migration to other tissues (metastasis). Using a peptide macrocyclization strategy previously developed in their lab, the Fasan group was able to design and develop a potent macrocyclic peptide inhibitor of Hedgehog proteins, the signaling molecules responsible for activation of this cellular pathway. These efforts have now given researchers a new tool to better understand the effect of Hedgehog signaling in cancer as well as a potential starting point for the development of new therapeutic agents against a range of human malignancies. This research was conducted by fourth-year graduate student Andrew Owens, former postdoc Ivan de Paola (now at Fresenius-Kabi), and former UR undergraduate student Yi-Wen (Amy) Liu (BS ’17, now at Cornell University). 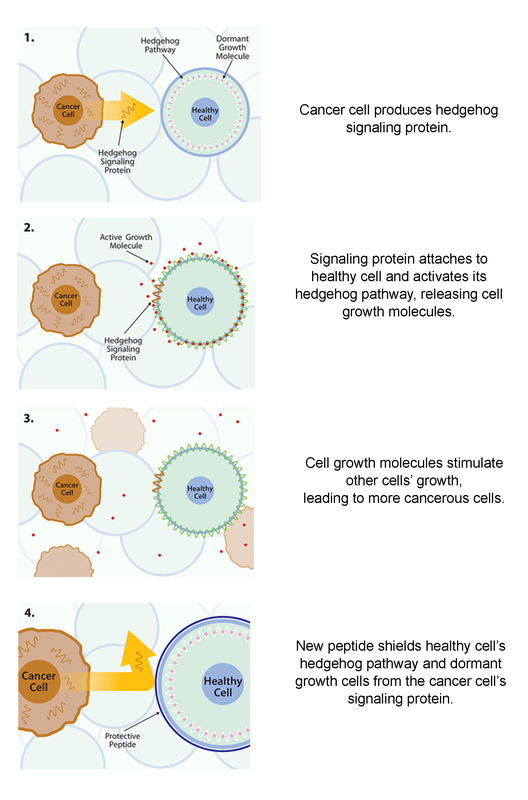 UR Newscenter: "Rochester chemists finds new means to 'block' cancer cell growth"